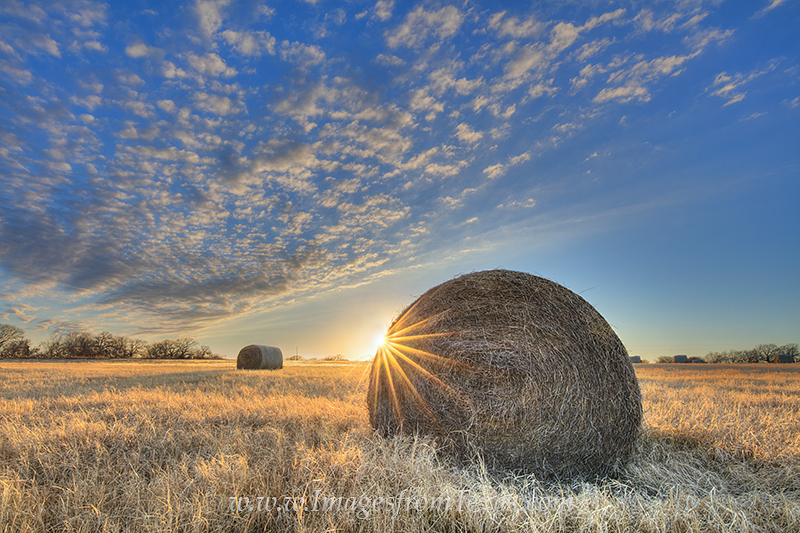 On a cold December evening, bales of Hay rest in the fading light of day. The sun is dropping low on the horizon and wonderful clouds drift by over this Texas landscape. Photo © copyright by Rob Greebon.